Just the other night, I got a message from my sweet niece, Haley. It came with a picture and a plea. She was sending me a picture of some oven fries that were flavored with thyme and asking if I would make her some. So, being the precious aunt I am, I got out my knife and started slicing potatoes. 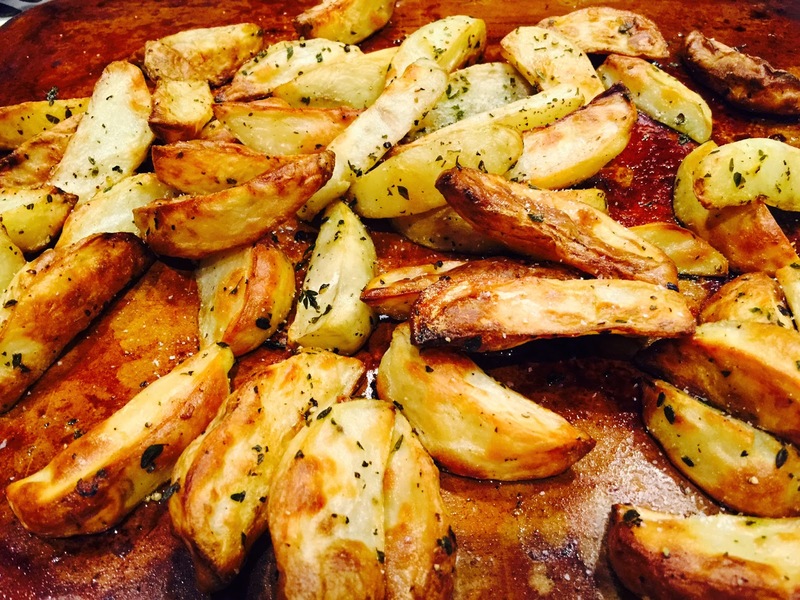 I have made potatoes like this many times, but thyme was a new twist. This was about six medium potatoes, peeled and sliced into thick wedges. I got eight wedges per potato. I soaked the potatoes in salted water to remove some of the starch. 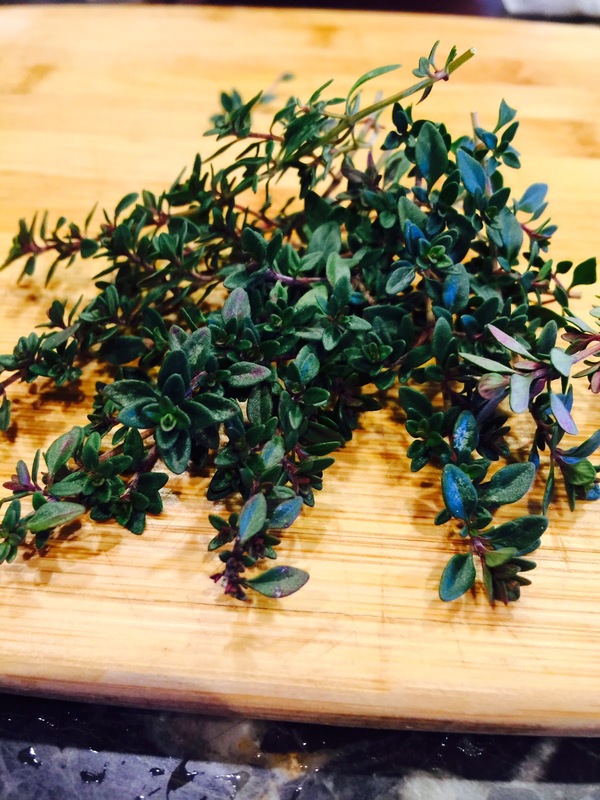 The recipe Haley sent me used dried thyme, but I braved the cold, snowy weather to find the thyme I had planted in my garden last summer. It was still growing...still green. 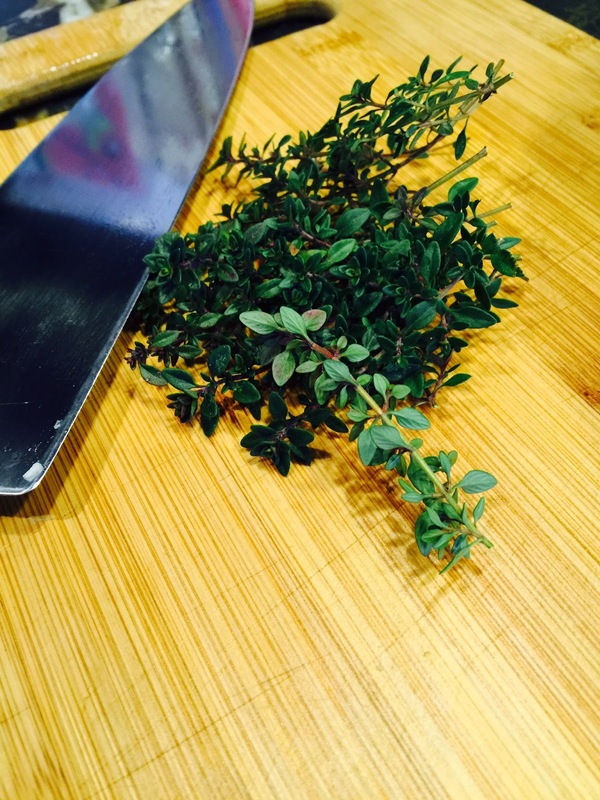 I brought the thyme in, stripped the leaves off the stems and chopped the leaves very finely. 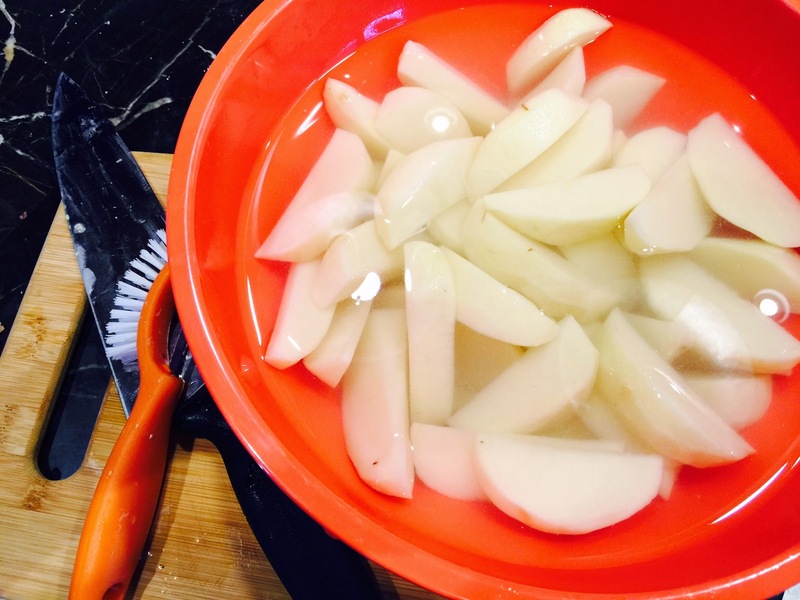 Next, I removed the potato wedges from the water and dried them thoroughly. Now the potatoes were ready to season. 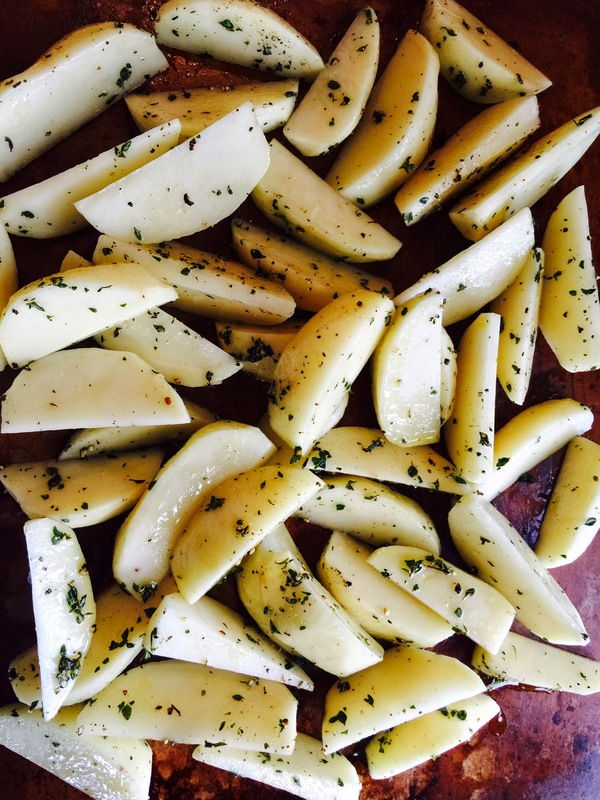 Haley's recipe used canola oil, but I drizzled the thick wedges with olive oil and sprinkled them with salt, freshly ground black pepper and my fresh thyme. 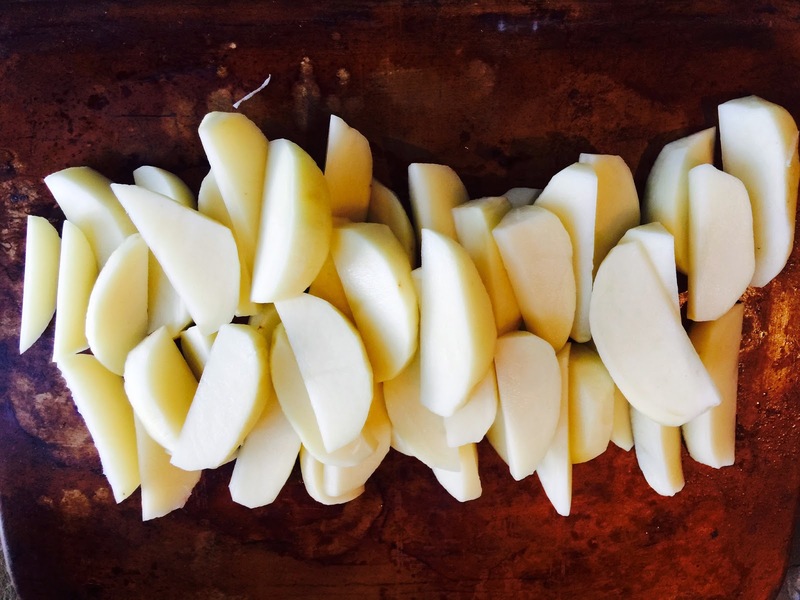 The potatoes were spread on my large, stone baking sheet and put in an oven preheated to 425 degrees. 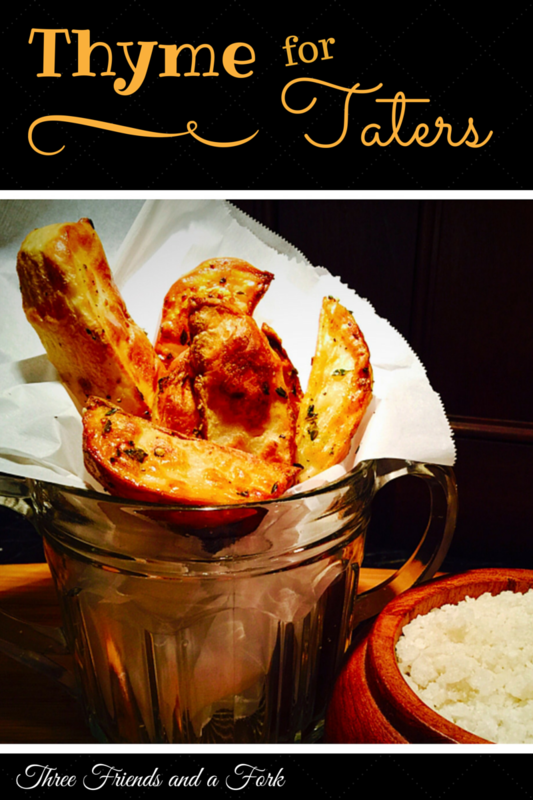 You have to babysit these tater wedges a bit. Check on them as they cook, stir them around and flip them so that they brown evenly and the ones on the edges don't burn. It takes about 30 minutes. Here's the finished product. 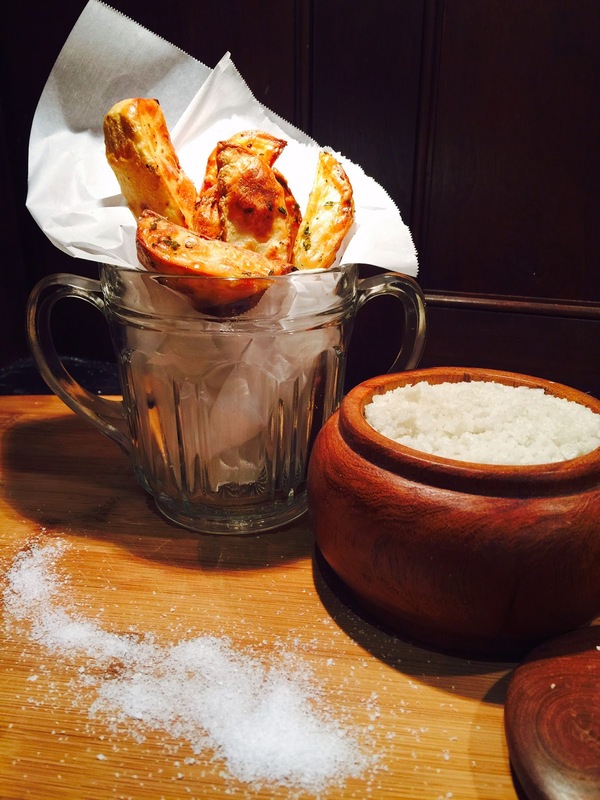 These potato wedges were delicious. The only problem? Haley wasn't around to enjoy the recipe she inspired. She isn't thinking I am such a precious aunt right now! Sorry, Haley! I promise to make them again when you can share them with me!